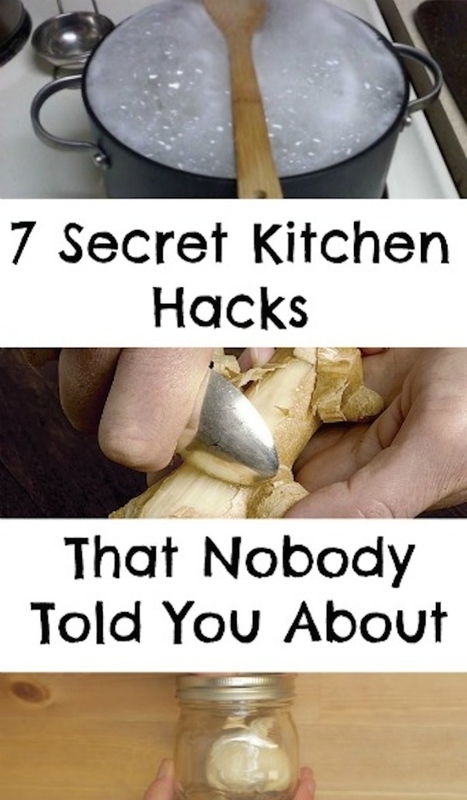 7 Secret Kitchen Hacks That Nobody Told You About. Simple and handy tricks that are absolutely genius. I collected my favorite kitchen hacks to share with you all. Simple and very clever tricks that will make your life easier in the kitchen. No fancy gadgets or chef-worthy knife skills are required. 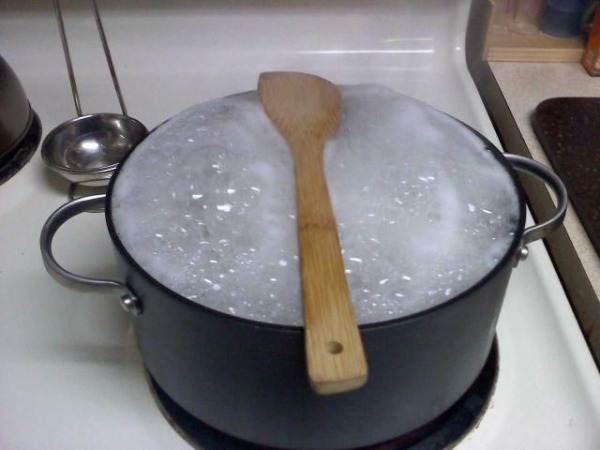 Put a wooden spoon on the cooking pot to prevent the water from boiling over. No more spilling and no more mess! This is such a simple and easy hack. All you need is a wooden spoon! 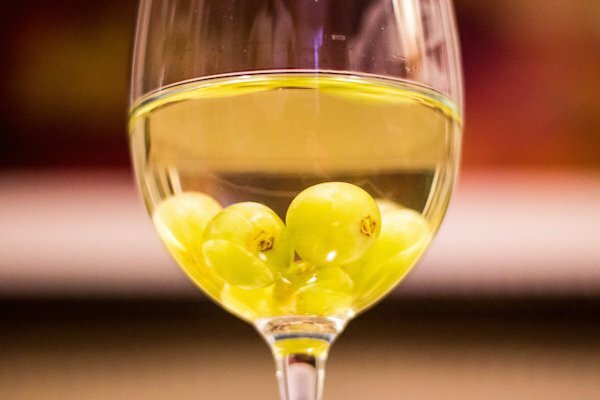 You can keep the wine cold and undiluted with some frozen grapes. This not only will keep your wine cool but also looks nice if you are having a party or small gathering. And you can eat the grapes afterwards too! Boil the water for ice cubes before you freeze them, and they will be crystal clear. 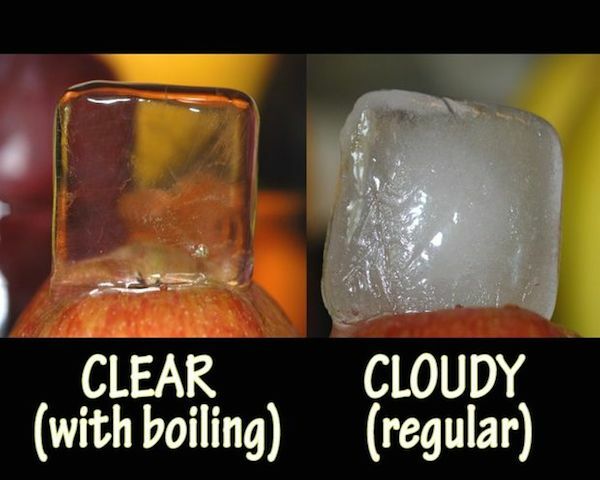 Whenever you want your ice cubes clear, now you know that this simple hack will make it. 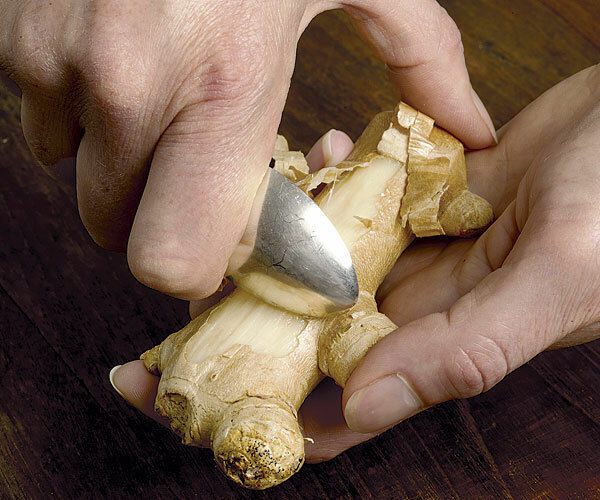 This easy and simple trick will help you peel the ginger in a second. Just use a spoon. A teaspoon works best. I used to struggle so much trying to peel ginger before. Now that I know this trick, I can easily add some grated ginger to my smoothies or recipes. 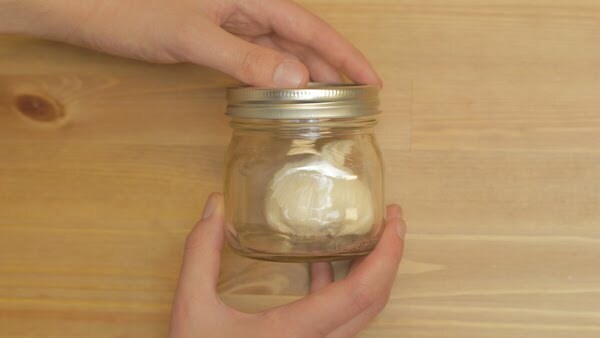 Peel the garlic in the following way: Place it in a jar, shake it very well, and you are done. No more unpleasant smells in your fingers that could even last for days! 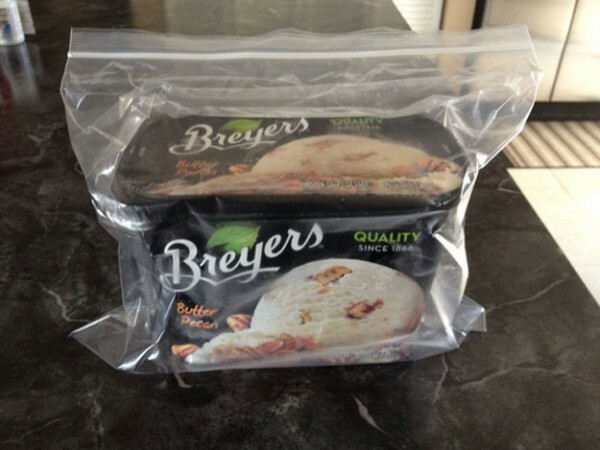 If put in a bag, the ice- cream will be easier to eat with a spoon, as it won’t be frozen and hard. I now do this when I buy ice cream and I don’t have to fight with the spoon anymore when trying to serve it. 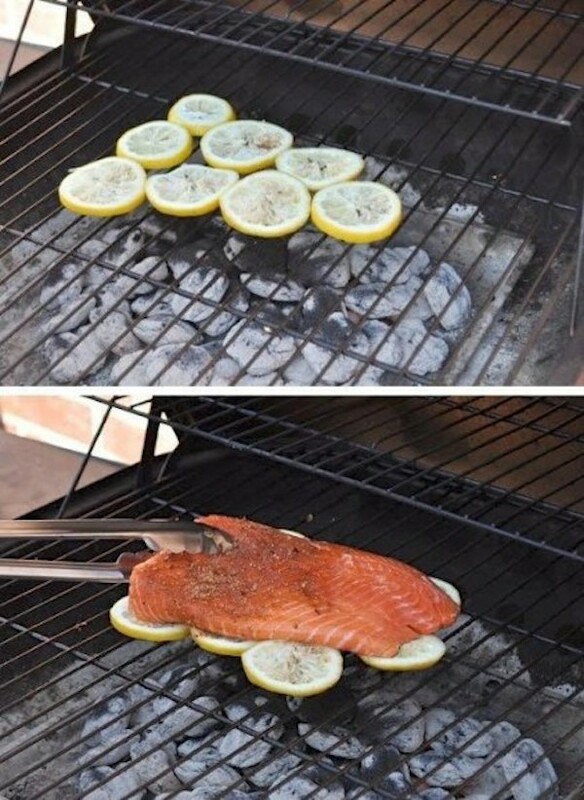 Place few lemon slices under the grilled fish, and thus enrich its taste. Your fish will naturally absorb the lemon flavor. Wow your Ice Cubes Kitchen Hack was really good. AND the Lemon On The Grill also. It make food more testy. Glad to know you liked the hacks!